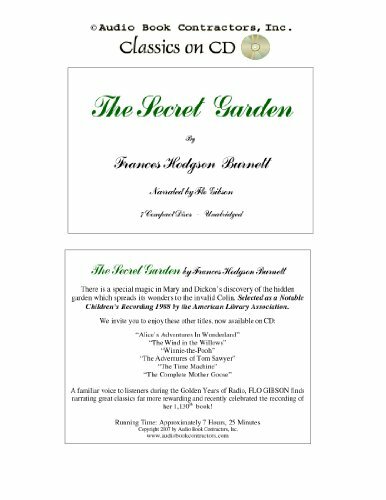 The Secret Garden (Classic Books on CD Collection) [UNABRIDGED] is for Ages 4-8. 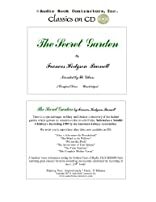 The Secret Garden (Classic Books on CD Collection) [UNABRIDGED] was written by and Frances Hodgson Burnett. The Secret Garden (Classic Books on CD Collection) [UNABRIDGED] was published by Audio Book Contractors, Inc. Subjects of The Secret Garden (Classic Books on CD Collection) [UNABRIDGED] include Children's Books / 4-8 Years, Children: Grades 1-2, Classics, Juvenile Fiction, and Nature & the Natural World - General.